We all know how difficult it is decorating your home with furniture you like and can afford. The picture-perfect home that fits your budget is not as hard to get as you might think. We can help you to pick and choose pieces from our collections and beyond. In addition to our own One House products we offer a wider range of furniture that complements our collection. Get some inspiration and ask our staff anytime for colour, material and product options. Meet the must-have package that fits every apartment and can easily be combined with already existing shelves, sideboards and accessories. 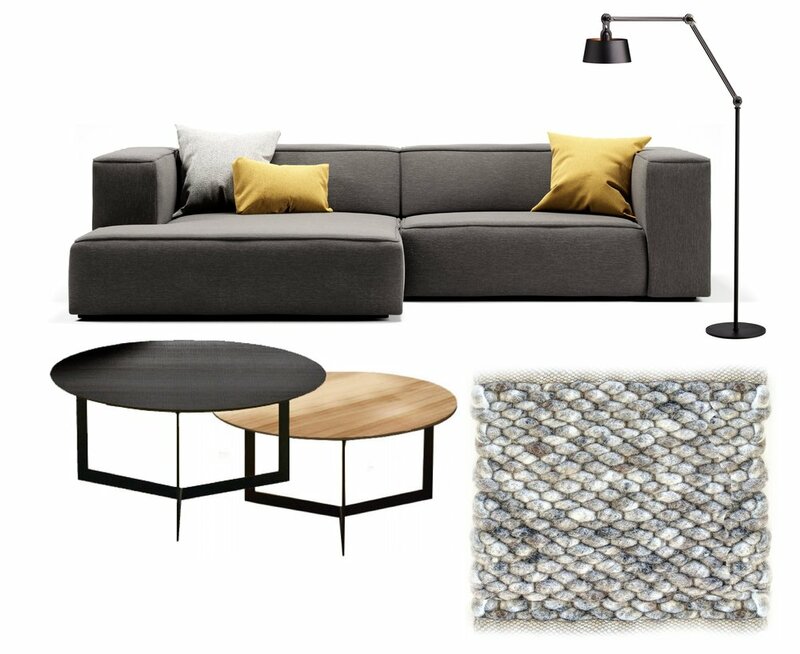 Available in more than 150 configurations due to different colour/form combinations of the sofa, different colour/material mixes on the side tables and the carpet as well as a choice of colours for the lamp and pillows. You are in total control when matching your styles and in case you would like our feedback, we’re here to help! Looking for the right set up of your dining area? Our solid oak dining tables -made in Holland & naturally formed- are available in different lengths and are made to be a long lasting center piece in your home. The challenge of creating a relaxing dining area is the mix between the right stools, the perfect length of the table and of course the lighting above it. Our team is ready to help you finding the perfect mix for you and fitting your budget. Please feel free to contact us with any questions regarding your interior design. After scrolling through our website you know who we are, what we stand for and what we do. We are happy to share our experience with you and to create your very own interior space to make you feel good at home. Thank you for reaching out. One of our team members will contact you shortly to schedule your interior advice meeting! A few selected brands we like working with. They offer a wide selection of quality furniture and home decor that reflects our philosophy and harmonise with our own collection.